An organization geared towards promoting physical activity from girls and women is now in Nova Scotia. 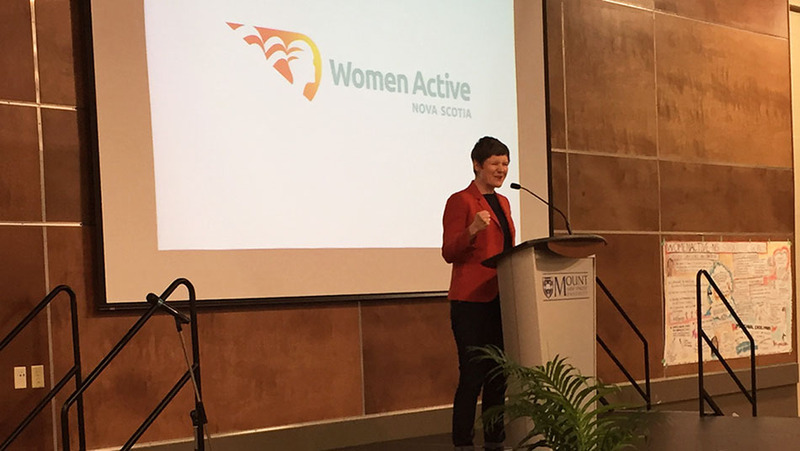 WomenActive Nova Scotia launched on Dec. 2 in Halifax. 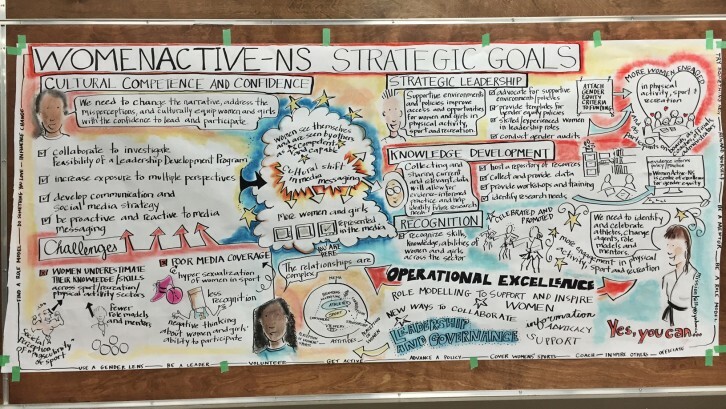 WomenActive Nova Scotia is an organization that tries to get more women and girls involved in sports, particularly leadership roles. It is a collaboration of three partners: Recreation Nova Scotia, Sport Nova Scotia and the Department of Health and Wellness. The launch was held at Mount Saint Vincent University. It brought well-known Nova Scotia leaders together, including Megan Leslie, the former member of parliament for Halifax, and the health minister Leo Glavine. Glavine spoke at the start of the conference about the involvement of girls and women in organized sports in Nova Scotia. Glavine said that 40 per cent of those who participate in these organized sports in Nova Scotia are female, 24 per cent of the coaches are female and less than 33 per cent of board members of organized sports are female. The purpose of WomenActive Nova Scotia is to see these numbers get higher. “It’s simple – everyone benefits from gender equity,” said Glavine. Megan Leslie spoke about women in leadership positions, and linked leadership to sports and physical activity. Leslie said women and girls would be inspired to, “see her, be her,” if they see other women and girls engaging in sport and fitness. She related the attitude to sports coverage of women in the media and by leading community figures. Karin Lofstrom attended the launch from Ottawa. Lofstrom is the Executive Director of the Canadian Association for the Advancement of Women and Sport. Lofstrom said most of the country is focusing on improving the numbers of women in sport. She spoke about women in coaching and board positions, the engagement of older women in physical activity and recurring issues that are seen throughout all sports. “There’s a lot of issues to work on, but you can’t do them all in one go,” Lofstrom said. Lofstrom said the timing of this launch for WomenActive Nova Scotia coincides with a surge of interest on the topic right now. She listed other provinces that have similar programs, including British Columbia, Alberta, Ontario and Quebec. Cindy Russell is the director of WomenActive Nova Scotia. She said she’s noticed a similar surge of interest in the topic of women in sports. She said the rising interest is what makes the timing for this launch just right.